Your smile says a lot about your personality. When your smile is genuine, people know you are friendly, interested, and approachable. Your smile also shows you have confidence. When your teeth are in excellent condition, smiling will be easy and natural. Daily dental care at home and regular visits to the dentist will improve your oral health, but there is more you can do to make your smile bright and beautiful. First, choose the foods you eat with your dental health in mind. Avoid sticky and acidic products as well as sweets. Second, give up habits that harm your teeth. If you smoke cigarettes or drink too many caffeinated beverages, cut down or quit. These habits can stain your teeth. If you bite your fingernails or other objects, give up the habit. 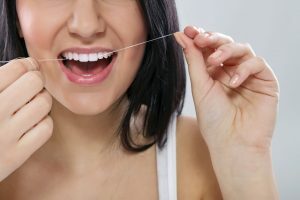 Your teeth will be healthier if you do not bite or chew objects that do not belong in your mouth. Third, ask your dentist about teeth whitening. While whitening toothpaste only removes surface stains, professional whitening provides better results. Dental tips are only useful if you practice them consistently and conscientiously. You cannot skip dental appointments, binge on sweets, or make excuses for not brushing every day if you want healthy teeth and a nice smile. Dental care is health care. If you want the best results, you can never afford to neglect it. You may need to make some changes in your daily schedule or your lifestyle, but the results will definitely be worth the effort. When your teeth and gums are healthy, you will take every opportunity to smile. Your smile will be healthy and beautiful, and you will be more confident about your appearance. You can enjoy life much more, and show it every time you smile. Never Make Excuses For Dental VisitsWhat Will You Gain From A Routine Dental Visit?